Monday, 27 November 2017: The Olympic Council of Ireland (the “OCI”) has announced the names of twelve athletes who have been awarded Olympic Solidarity Scholarships to assist with qualification and preparations for the Tokyo 2020 Olympics. The Irish Men’s Hockey Team have also been awarded a scholarship to assist in their qualification efforts for the Tokyo Olympic Games. Each of the scholarship recipients will receive approximately $625 per month up until the Tokyo Olympic Games due to be held in August 2020. 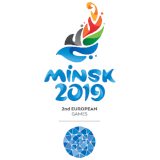 Athletes will also receive additional funding up to a maximum of $5,000 to assist with travel costs in connection with competing at qualification events. A scholarship of $100K / $25K per anum has also been awarded to Irish Hockey to assist the men’s national team currently ranked 10th in the World with their Olympic qualification campaign. Funding provided under the scholarship will cease prior 2020 if the athletes are for any reason become ineligible to qualify for 2020. The OCI submitted the application to the International Olympic Committee’s (the “IOC”) Olympic Solidarity on behalf of twelve Irish athletes having first invited each of Ireland’s National Sporting Federations to nominate qualifying athletes from their individual sports. The nominations were evaluated by an expert sub-committee with the relevant expertise established by the OCI’s Executive Board to consider and approve candidates for nomination to the IOC who had the final decision. 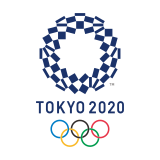 In order to be eligible, athletes must be competing at international level in an Olympic discipline that will feature at Tokyo 2020 and have the technical ability to qualify for the Games as demonstrated through recent results. Priority is given to athletes not in receipt of funding from any other source. The IOC awarded the OCI eight scholarships and one team scholarship but the OCI’s Executive Board decided to invest an additional €140K to bring the number of scholarships awarded up to the maximum of twelve permissible under the scheme. Athletes who have been awarded scholarships are Siofra Cleirigh Buttner (Athletics Ireland) who is currently on scholarship at Villanova Unviersity and who competed earlier this year at the World Athletics Championships in London; Nhat Nguyen (Badminton Ireland) is a European U17 Gold Medallist and also medalled at the 2017 Poland Open, an event on the senior circuit; Liam Jegou (Canoeing Ireland) who is a former U17 Vice World Champion; Mark Downey (Cycling Ireland) a track and road cyclist who secured Ireland’s best ever finish at the U23 World Road Race Championships coming 9th; Ian O’Sullivan (Irish Clay Pigeon Shooting Association), a former World Junior Champion and current 2017 Scottish Grand Prix Champion; Cathal Daniels (Horse Sport Ireland) who to date has won 6 European Underage medals; Leona Maguire (Irish Ladies Golfing Union) the World’s Leading Amateur Golfer for the last 3 years; Rhys McClenaghan (Gymnastics Ireland) who is the reigning European Champion in the Pommel Horse as well as becoming the first Irish gymnast to ever win a Pommel Horse Medal at a World Cup event; Megan Fletcher (Irish Judo) Commonwealth Games Champion in 2014; Denise Walsh (Rowing Ireland) who holds 17 National Rowing titles and won a silver medal at the 2017 European Championships; Mona McSharry (Swim Ireland) who emerged on the national stage earlier this year with her Gold Medal in the 100m breaststroke at the World Junior Championships and Jack Woolley (Irish Takewondo Union) who is now ranked 13th in the World in the 58kg Weight Category. The Men’s Hockey Team in 2016 became the first Irish Team to represent Ireland at the Olympics since 1948 and the first hockey team to qualify since 1908. Finishing a credible 10th the Men’s Team have had a successful 2017 maintaining that World Ranking and qualifying for next year’s World Hockey Championships being held London with a 6th place finish in this year’s European Nations Cup.